Good morning! I am so excited to be a stop on the hop celebrating the December release from Waffleflower Stamps! 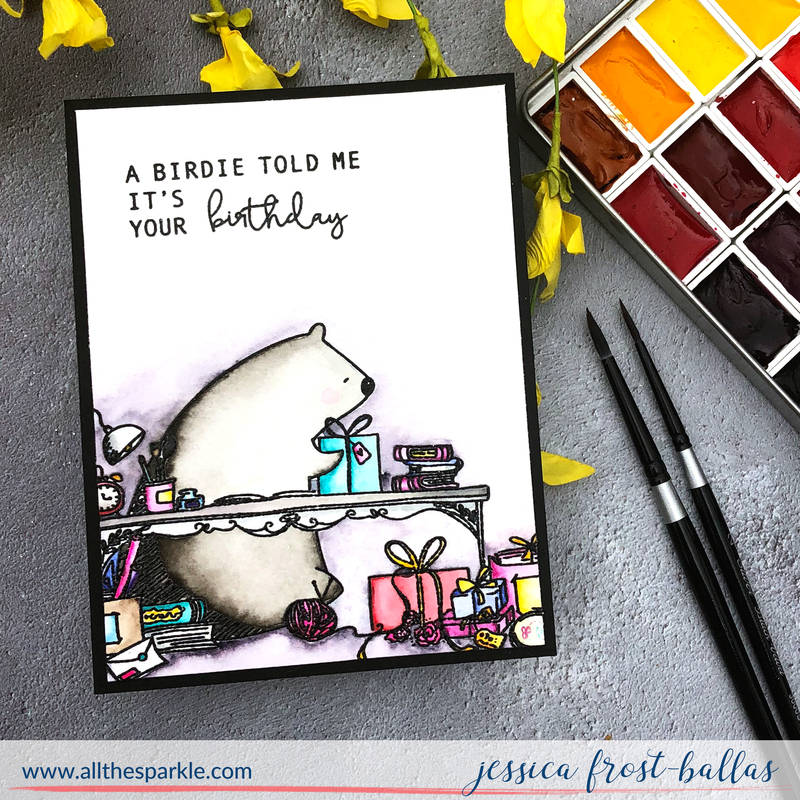 Today I’m sharing two cards using products from the release! I just adore the series featuring this girl and her adorable cat! I kept my card simple and stamped the image with versafine and heat-embossed it with clear embossing powder. Then I colored it with copics and added a little stippling around the outline of the image. I’m amused that without consulting each other, Emily and I both colored this stamp with similar color schemes but made the girls look like ourselves. Ha! Then I die-cut the largest Stitched Layers die from black cardstock and framed the image. 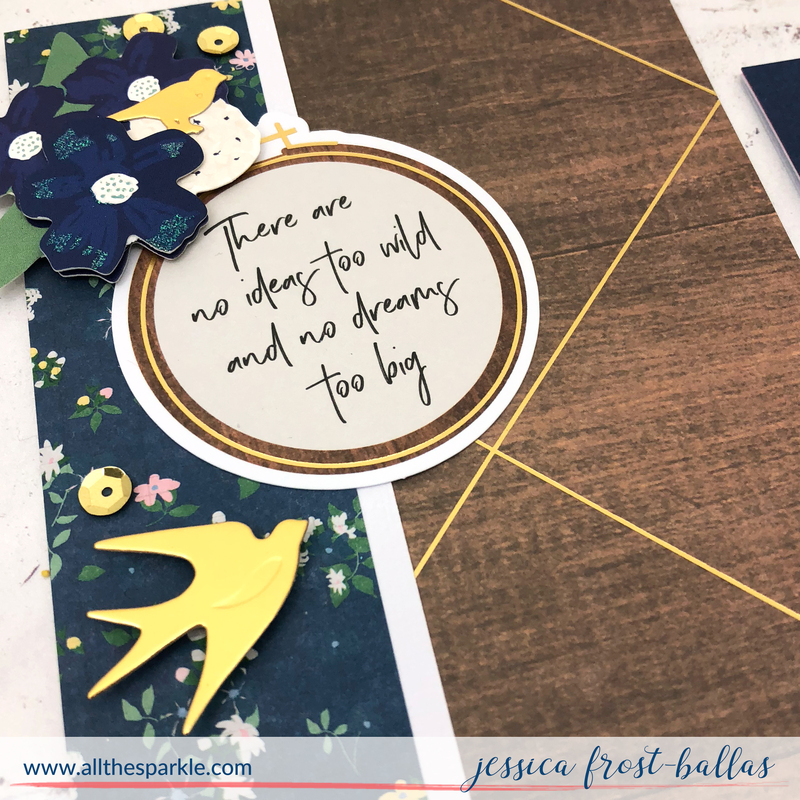 Finally I heat-embossed the sentiment on black cardstock with white embossing powder, trimmed it down to a fishtail banner and adhered it to the card! 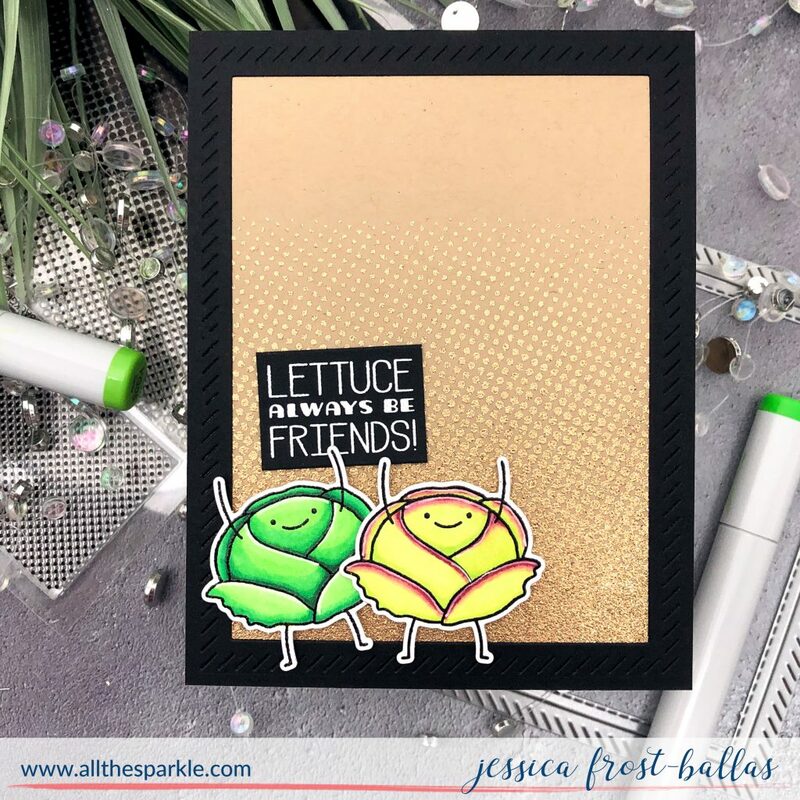 My second card uses those fun punny lettuce heads! I stamped them with versafine and heat-embossed them with clear embossing powder before coloring them with copic markers. I die-cut them with the coordinating dies and added a little spectrum noir clear sparkle. I stamped the Halftone Background onto kraft cardstock with versamark and heat-embossed it with gold tinsel embossing powder. Then I added another Stitched Layers frame of black cardstock over the kraft cardstock and adhered my lettuce with foam mounting tape. I stamped the sentiment on black cardstock and heat-embossed it with white embossing powder before trimming it down to a label. Finally I adhered it behind the lettuce arms so it looked like they were holding the sign! To celebrate this release, Waffleflower is giving away three $25 gift certificates! Leave comments on all the hop stops for the most chances to win! Leave a comment before 11:59pm ET on December 10th and the winners will be announced on the Waffleflower blog on December 12th. 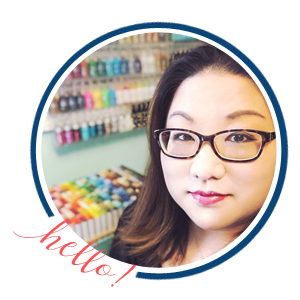 You should have arrived from Rebecca’s blog and Caly is your next stop! 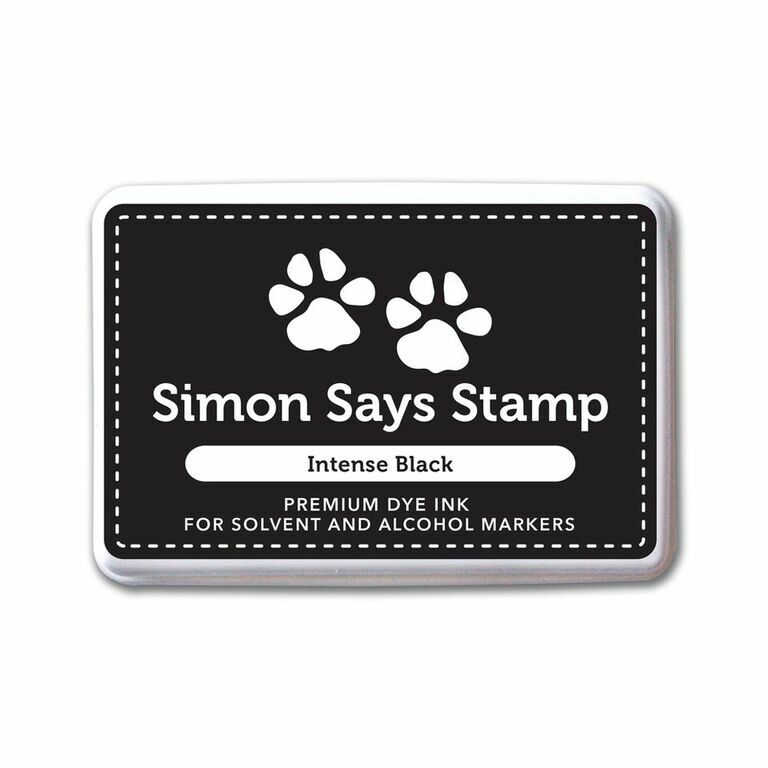 « Simon Says Stamp + Hero Arts DieCember Exclusive! Very sweet cards! Love the little lettuce images! Love how you made the lettuce card! 🙂 So cute. the little girl with her kitty has stolen my heart! Love your cards. Great coloring on these lovely cards. You and Waffleflower together create magic. They are absolutely adorable. Thanks for sharing. This is so adorable! The girl and her kitty is the sweetest image ever! I love the way you have brought them both to life! 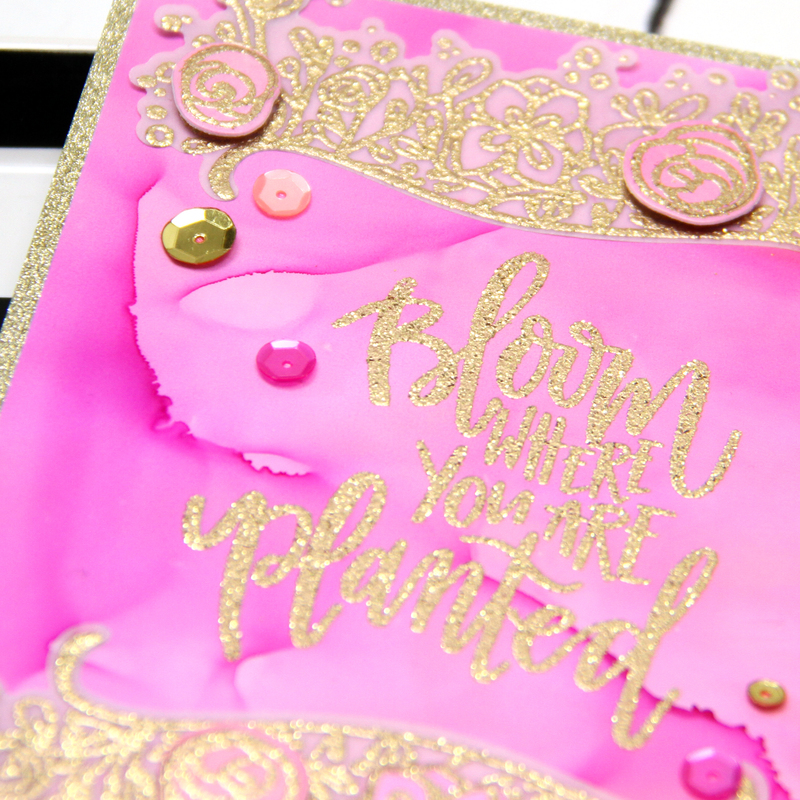 Lovely cards from this latest Waffle flower release! I love the thinking of you set! Love how you embossed the background, very nice! Adorable cards! 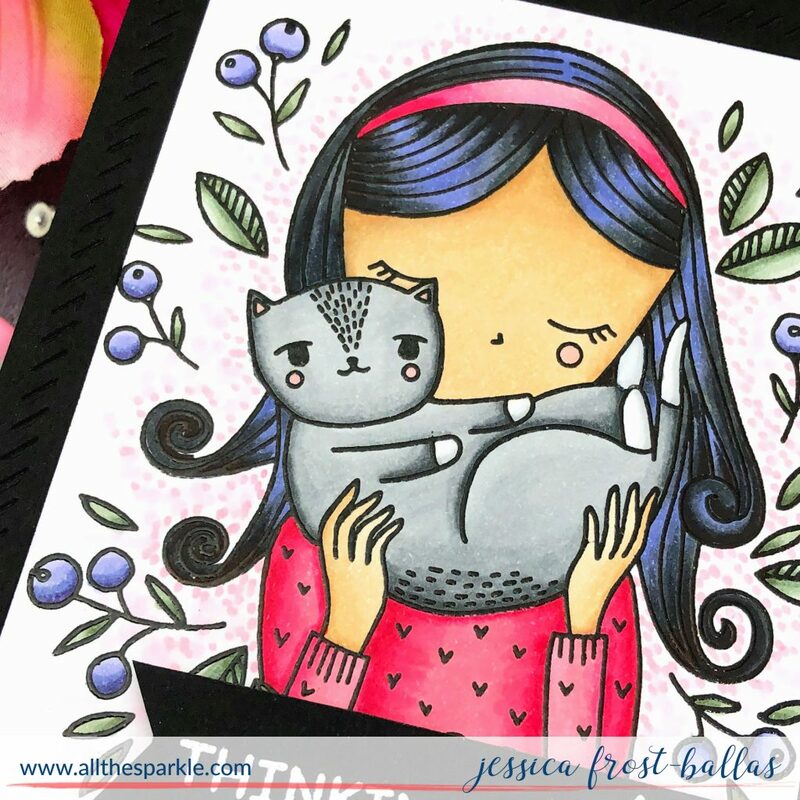 Love the girl and kitty image from the Thinking of You set! Your coloring is gorgeous! Jess, I LOve her blue hair! now that kitty? Just makes me want one SO much! and the entire release! also the cutest ‘salad’ I’ve ever seen! Adorable projects, thanks for sharing. Hey, she could be you as a girl. I really like her blue-black hair, and all of the colors. I love how you did her hair! SOOO CUTE!